Andhra Pradesh leader of opposition, YS Jaganmohan Reddy wrote a letter to Prime Minister Narendra Modi on Black Money disclosed under IDS scheme. Chief Minister Chandrababu Naidu on the other day, spoke to media and said that "Out of the Rs 65,000 crore disclosed across the country, Rs 13,000 crore was declared in Hyderabad and, out of it, Rs 10,000 crore by a single individual. Who is that, we can't know as per law. Is it possible for a businessman to declare such huge money, it should be someone from politics only" he told. On this allegation made, Jagan Reddy came into action. It is surprising for many, why did Jagan react, when Chief Minister not even mentioned his name. Many are recollecting the famous telugu proverb "Gummadikai Donga". Jagan Reddy wrote to Prime Minister "How is that Chandrababu Naidu only know the information on black money. CBDT says it wouldn’t reveal the names of declarants or region-wise declarations as well. But Naidu being an NDA ally, is publicly saying that a person from Telugu states declared Rs10,000 crore unaccounted income. 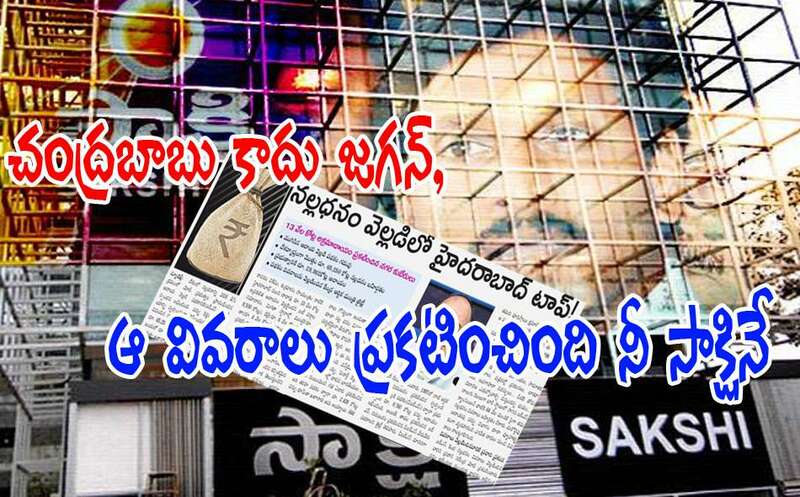 How did Naidu source this information?" With this, Jagan's immaturity is exposed again. Here are some of the sources of famous newspapers, who have published this news on October 2nd. But still Jagan asking, "How AP Chief Minister Chandrababu Naidu came to know of details of income declared in the IDS".